Hamster Club :: Hamster Club featured in 'L-Orizzont' Newspaper and more! Hamster Club featured in 'L-Orizzont' Newspaper and more! Hamster Club was also featured in 'L-Orizzont' newspaper of 11th May 2009! In fact, the centre spread of this newspaper was dedicated to our hamster club! 'L-Orizzont' newspaper is one of Malta's leading newspapers that gives daily news and information to thousands of readers in Malta. L-'Orizzont' may also be found online here. 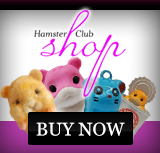 The article named 'Il-Klabb tal-Cricetus' (which which means : ('The Hamster Club' in Maltese), outlines the basic information about Hamster Club Malta and its new hamster book named �Hamster Club Guide Book� ISBN 978-99932-0-721-4 which is going to be sold at the end of May / beginning of June 2009 at the price of �4.99 online from www.TheHamsterBook.com, from various book stores and pet stores. The article also outlines the main types of hamsters found in Malta, why a hamster may be the ideal pet for you and also the basic information one needs to know about hamsters. 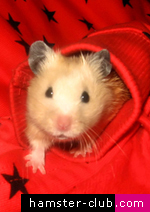 To see a copy of this hamster article please click here. Hamster Club was also invited on the National Maltese Radio. Click here to read more about this radio event! 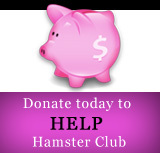 Feel free to email us here if you have any hamster concerns or need any advice about hamsters and / or our hamster club!